1. What do you remember from your life before coming to the CCH home? My name is Joythi I am studying in pre-school. Before I come to CCH home, I just use to enjoy with my friends and I never go school. I never obey my elders and my grand mother use to say, “You are so small you have to go school and you have to obey your elders”, but I never listen to her. 2. What is the best part about living in a CCH home? 3. If you were going to describe God to your class, what three words would you use to describe God? God was died on the cross for my sin. Jesus loves me so much. I will walk in Jesus way. 4. In ten years, how old will you be? What do you want your life to be like at that time? In ten years, I have 17 years old. I just want to see in my life will be so beautiful. And that I able to help others, those are like me. And I love Jesus very much because, even though I don’t have father, I can feel that heavenly father is mine. These home parents have two children of their own and they have taken in 10 girls to raise and love and support! Please pray for them! Joythi is the smallest one in her home. In the last 6 months we have seen her experience the joy of the Lord like never before! She is truly loved in her home and where there is true love there is freedom! She always has a smile on her face now! It is so great! This picture is taken upstairs in the church during our Vacation Bible School this summer. 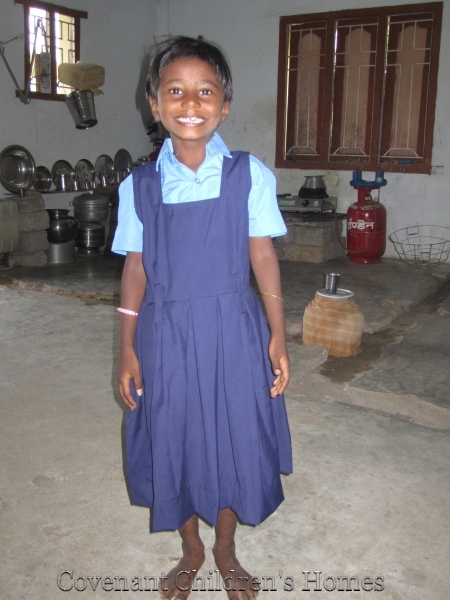 Joythi loves to sing and dance and so do her sisters! Please be praying for Joythi!